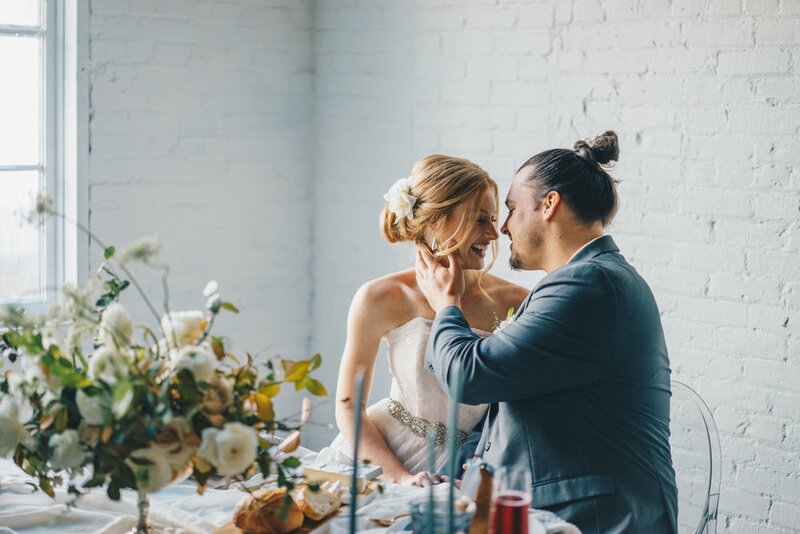 When planning a wedding, there are so many things to think about, and sometimes, the little things get overlooked. These little things help pull everything together and are so important! I wanted to share a few tips and some things that you should think about when planning a wedding. So most people don't do what my husband and I did, and get married four months after we get engaged. I know, it was a little crazy, but looking back on it, I am so glad we did it the way we did. One thing that kept coming back up and some things I didn't think about right away were the minor details. I know, you already have so much going on trying to find the right venue, the right dress, and even figuring out the right date. Don't worry, this is something you should think about after those big items. Flowers are a beautiful thing to not only have in bouquets, but in centerpieces and to decorate with. Using them throughout your reception is a great way to tie everything in. Another thing to think about is name tags, or even if you will have them. 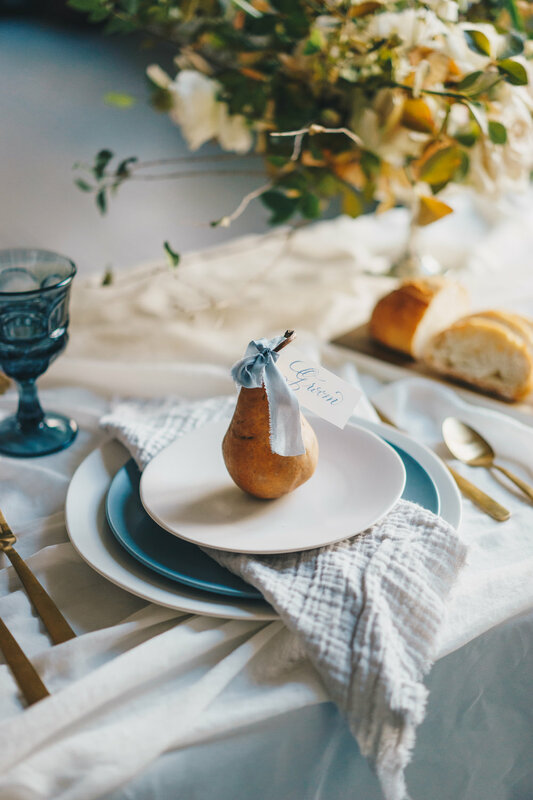 I love what Something Old Dayton did for this styled shoot with the tags tied to the pears. How cute are those!? Another thing to think about is silverware. I love how gold silverware was used in this! It is so unique, but it fits in so perfectly! How ever you style your wedding, bring pieces from each to pull it all together.  Take a look at the images below for some ideas! Location: Opal and Fern Co.